Are you looking for a professional appliance technician in Calgary to provide the repairs and services you need at a price you can afford? If so, we’ve got great news for you! Appliance Repair Calgary is committed to providing home appliance repair for the major appliances in your home, as well as appliances repair service for all other types of appliances. No appliance can stay broken forever as long as we’re there to fix it! Our appliances repair technician is always ready to go. When you give us a call for repair, troubleshooting, replacement, or installation, we can usually send someone over on the spot with a truck load of tools, repair parts, and eager appliance technicians who are ready to get your appliances repaired quickly and efficiently. Our streamlined services make it easy for anyone to get the appliance repairs they need when they need them most. You can also schedule a service call in advance, so long as your requested date and time doesn’t coincide with another customers pre-arranged service call. We can guarantee a professional appliance service repair from one of our technicians. We can also guarantee friendly and courteous technicians who will never be rude or disrespectful. We’ve got a long track record of professionally completed jobs that go a long way towards making our Appliance technician in Calgary the most sought after in the community. 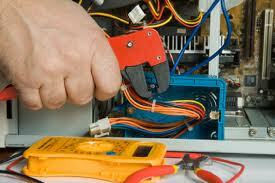 For troubleshooting, we recommend our appliance service technician. With years of experience in troubleshooting and general servicing, this technician is definitely your go-to guy. For large, bulky kitchen appliances services, we recommend our kitchen appliance service technician to take care of everything from servicing to repair and everything in between. 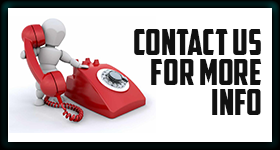 Get in touch with us today to schedule your appointment! We’ll work hard to meet your needs and ensure your ultimate satisfaction to show our thanks for choosing Appliance Repair Calgary!